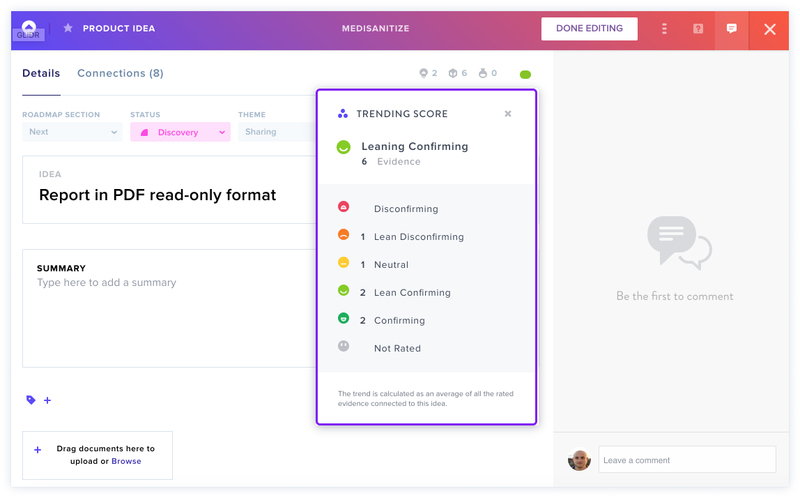 The Trending Score is calculated as a weighted average of all the ratings that your Team has assigned to Evidence, Research and Experiments connected to this Idea. The color of the icon shows the overall trend, and clicking on to it will show how the score is made up. In the case above, it shows that of 6 items of Evidence, four broadly support the Idea, one is neutral, and another doesn't support the Idea. Find out more about connecting Ideas and Evidence.